If you are visiting Mexico City and you want to know the most hidden corners of this wonderful place, continue reading these lines. We will show you the most magic neighborhoods in Mexico City and we will encourage you to visit all of them along with Mexico City Tour. Our South route will bring you close to all these places. Colonia de Hipódromo-Condesa seems to be modern these days despite the fact that it is 86 years old and the reason is that its design broke with the traditional tendencies in urbanism. Touring this quarter, you will come across large art déco buildings, trendy cafebrerías (café and bookshop), boutiques and cultural centers. This colony is located very close to the stop 1 of the tour. Colonia Roma is the symbol of the transformation of the city. Some decades ago its streets were synonym of insecurity, but nowadays artists and bohemians get around by bike. It is full of art galleries, vintage boutiques and the most alternative restaurants framed in a notable art noveau architecture. We highlight the MODO, a museum without permanent collection which covers quotidian topics through objects, like Mexican beauty canons through cosmetics. Access to this quarter getting off our bus at the stop 2 of the route. 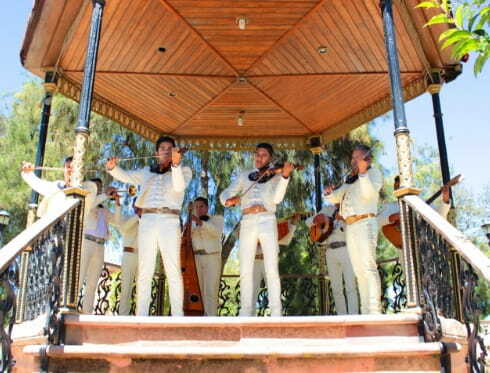 If you are looking for a traditional and folkloric neighborhood in Mexico City, visit Coyoacán. Walking around its streets, you will appreciate its coloring and music and feel the magic of its atmosphere. You will not be able to finish your visit without going for a stroll around Coyoacán Square and admire its sculpted coyotes, surrounded by artisans who knit bracelets and make unique garments. If you want to admire one of the most beautiful hideouts of the quarter, visit the chapel of La Conchita, considered a treasure of the baroque art. 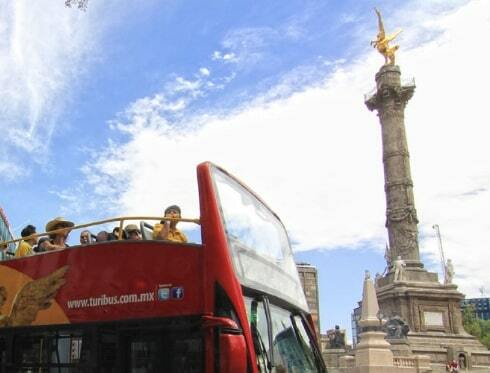 Our tourist bus runs around Coyoacán from the stop 15 to the 18. 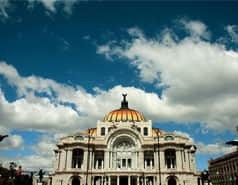 All these amazing spots and many more are waiting for you on Mexico City!